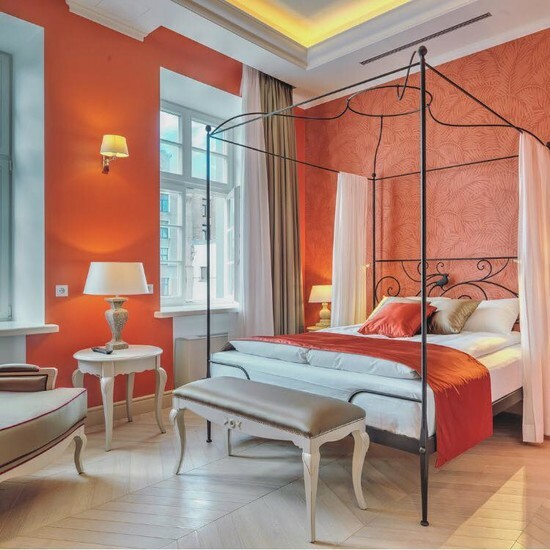 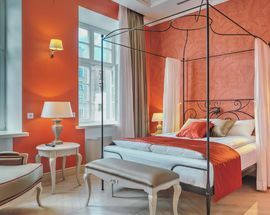 This glamorous boutique hotel designed by Italian and French architects occupies an historic medieval town house right on one of Riga’s most popular squares. 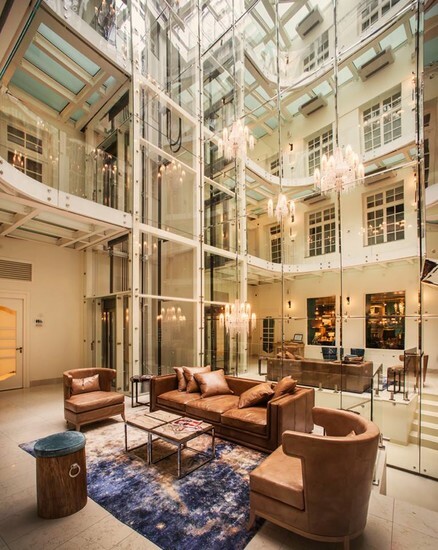 Although impressive in its own right from the outside, one would never guess that this hotel’s charming façade obscures a massive interior glass and mirrored atrium that stretches to the roof. 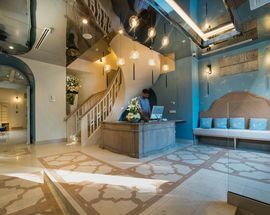 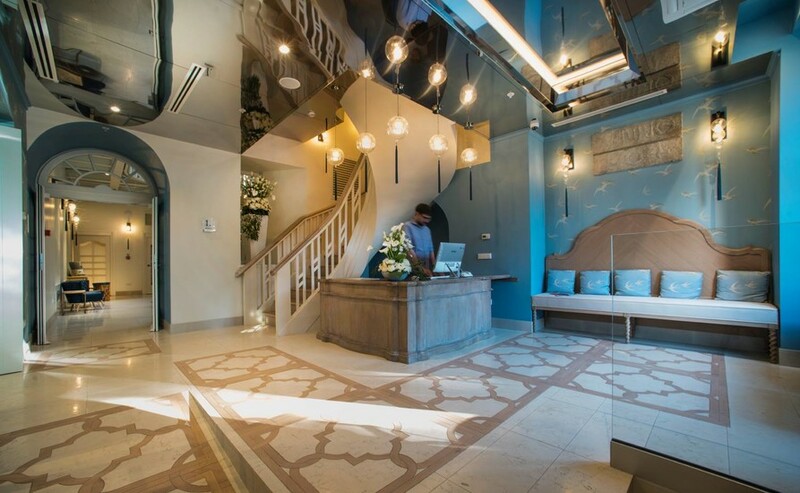 Rooms vary in size and décor but all are stylish and include all of the amenities one could desire from TVs, free wi-fi and minibars to large bathrooms and writing desks. 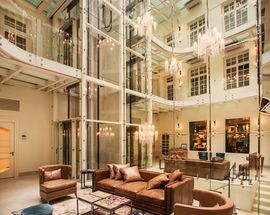 Breakfast is served in the top-floor banquet hall overlooking the square, while a bar and an art/jewellery boutique can be found on the ground floor.